We are committed to turning mini mouths into mighty smiles that last a lifetime! Our Pediatric Dentists at Mini Mouths offer expert pediatric dental care in a comfortable and fun environment. Our goal at our Coral Springs Pediatric dental office is for all of our patients to achieve a healthy and beautiful smile while learning excellent oral hygiene habits. 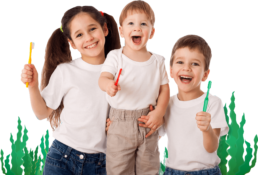 Call our pediatric dentists in Coral Springs, FL for your children’s first visit. If you’re looking for an experienced and caring pediatric dental team, schedule your child’s first appointment today! The Mini Mouths team can’t wait to help your family achieve a healthy and happy smile. Call our Coral Springs Pediatric dental office for any concerns. Don’t go another day hiding your crooked or misaligned teeth. 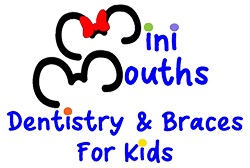 Achieve a beautiful, healthy, and straight smile by scheduling a consultation with our experienced team of orthodontists at Mini Mouths Dental today! Not a problem. Fill out the form & a new patient coordinator will contact you at the time that’s more convenient for you.